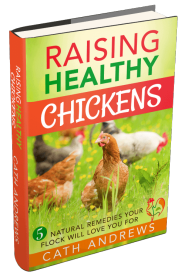 Rat droppings and backyard chickens : critical things you need to know. 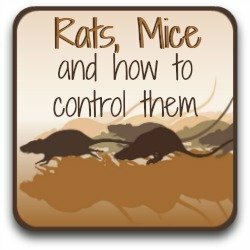 Rat and mice droppings: how to tell the difference - and what to do. 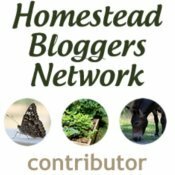 Please be aware - this article contains photos of (live) rats and mice. If you don't want to see them, go back to this page. 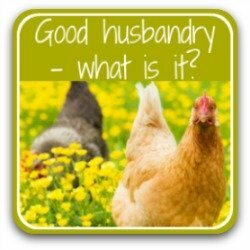 Found droppings in your coop but not sure whether they're from rats or mice? Worried they'll transmit disease to your chickens? Or your family? 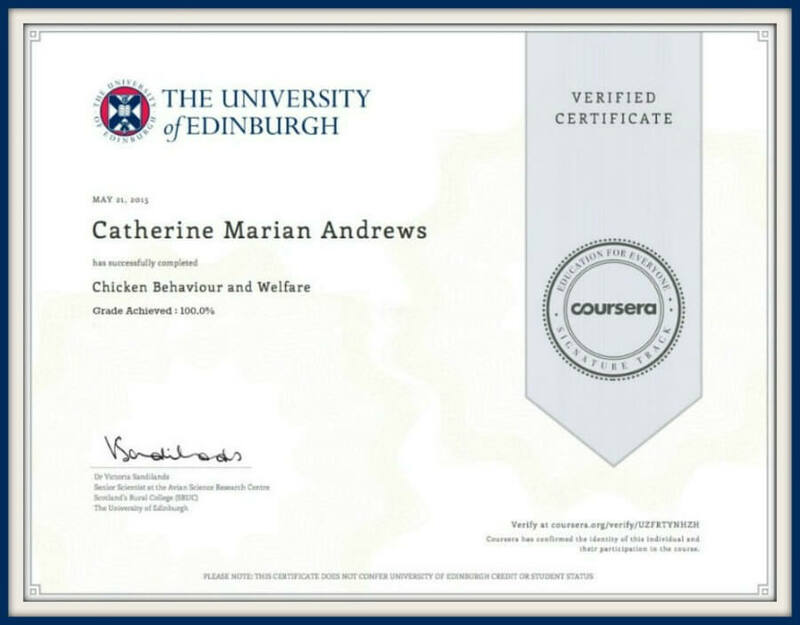 Here's how to recognise the difference, know what harm they do and learn how to keep them out of your coop - and your home. "I'll never have rats near my chickens - I'm too careful". I can hear myself saying it now - you've probably said the same. And for a long time I was right. Make no mistake - this is a rat. I didn't have anything to compare it with at hand when I took the picture, but it was around six inches long. Even then, I tried to convince myself it was a mouse. A little on the large side, I know, but I lived in hope. And then my heart sank, because I knew - it had to be a rat. 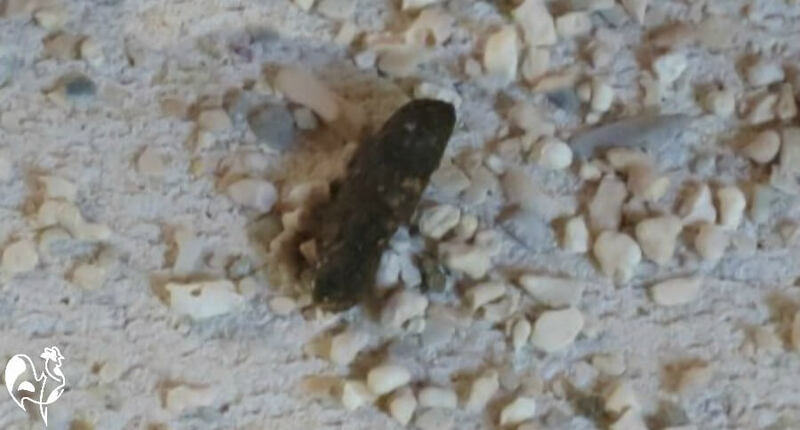 Rat droppings are very different from mouse poop. It's easy to tell the difference between an adult rat and a mouse - a rat is much bigger. But it can be very difficult to tell the difference between a mouse and a baby rat. They're about the same size, and although there are subtle differences in shape and ear size, it's hard for a person without specialist knowledge to tell them apart. Rat droppings are the giveaway. They're bigger, quite long and more jelly-bean shaped, being blunt or rounded at each end, and a similar size. Mouse droppings, on the other hand, look like little black grains of rice. They're much smaller and they're pointy at both ends. This image, used with kind permission of Lewisham Borough Council, England, shows the difference clearly. Rat droppings are on the right, mouse on the left. The coin is a British penny, about the size of a small US cent. They're different in the way they're deposited, too. Mice tend to poop everywhere. They really don't care. You'll find their little 'parcels' all over work surfaces if they're in your kitchen, or sprinkled over run areas if they're outside. Rat droppings tend to be more isolated. Ironically, that's because rats have some sense of cleanliness which makes them use specific areas as a 'rat bathroom'. See how "my" dropping above was by itself? 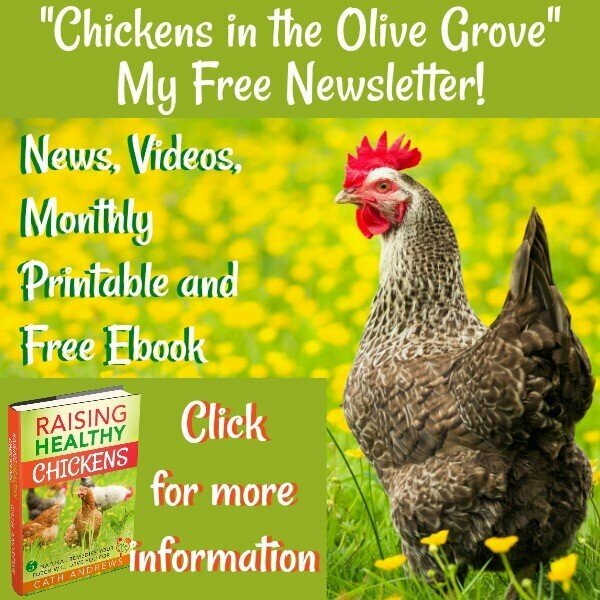 Can rat droppings cause problems for chickens and / or humans? They certainly can, but probably not as much as you think. The droppings themselves won't, for example, cause you to contract Bubonic Plague - that was carried by fleas. And a rodent has to be infected itself before it can pass on any infection. 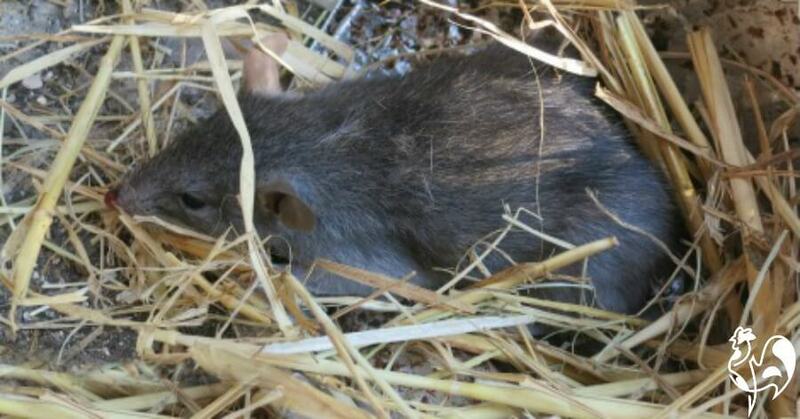 Rodents love nesting in straw. This one was in my roosting coop. Beware - the dust can carry bacteria. But more often than not, rats and mice won't show any signs of being infected - so you won't know whether or not you're dealing with an infected animal. For that reason, any rodent droppings and urine, whether rat or mouse, need to be taken seriously. Most illnesses caused by rodents won't leave lasting damage in a normal, healthy individual. But they can be very serious for vulnerable groups, such as the very old, the very young, people whose immune systems are low (for example because of cancer-related drug therapy) and pregnant woman. Here are some examples of the types of disease which can be carried by infected rats and mice. It's important to emphasise the words "can be" and "infected" here and not to over-dramatise the scale of the problem. Not every rat or mouse will transmit these illnesses, and even if they do, not every chicken or every human will catch them. However, it's much better to be safe than sorry. You've probably heard of Salmonella, but you may not know that the bacteria Salmonellosis can be carried by rats and mice. It's transmitted to chickens (and other birds) through drinking water which contains rodent faeces and urine. 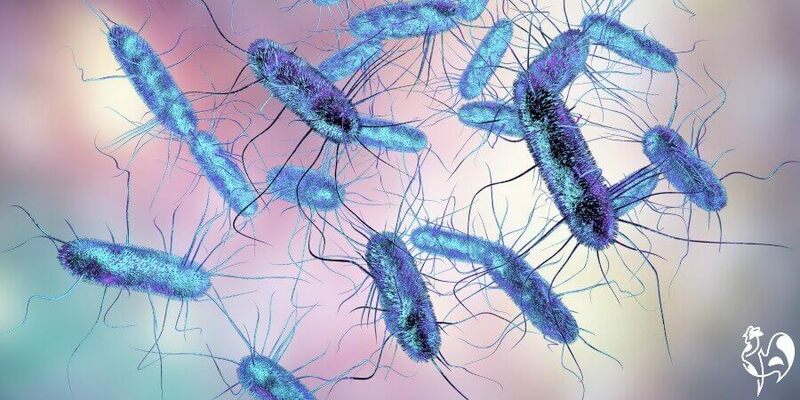 Salmonellosis - the Salmonella bacteria. 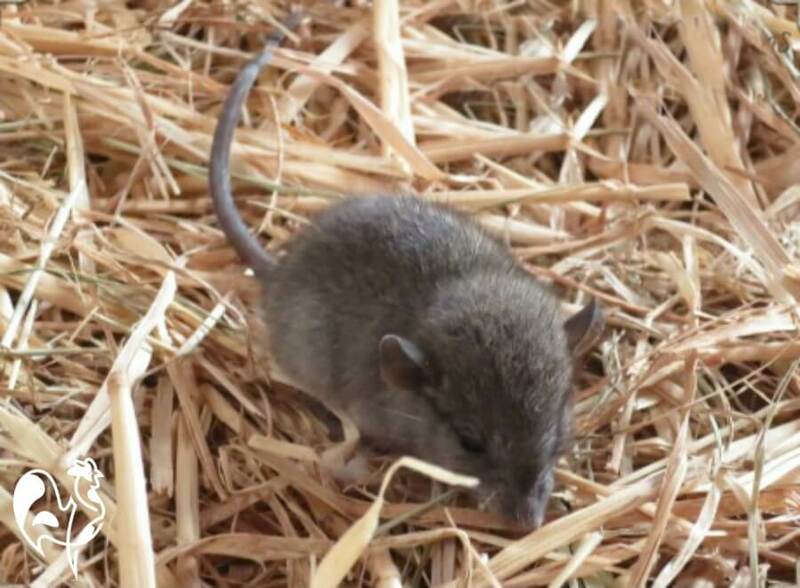 Contact with infected rat urine in straw, feed or water can cause the bacterial infection Leptospirosis, also known as Weil's Disease. In humans it can enter the body through broken skin or through mucus membranes, such as those found in the nose. Common house mice are the carriers of a virus which causes Lymphocytic Choriomeningitis. It's found in the saliva, urine and droppings of infected rodents. It's thought that around 5% of house mice in North America are carriers, although they won't necessarily show any signs of infection. It's most often contracted by breathing in dust when clearing away animal (or chicken) bedding. 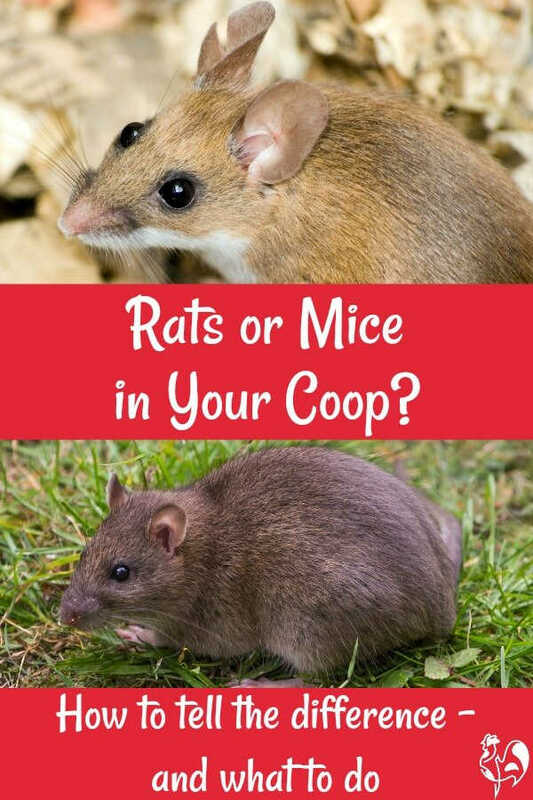 If you're not sure whether you have rats or mice, take precautions anyway whenever you're cleaning your coop. Cover your mouth with a mask (see below). How to get rid of rat droppings. It should be obvious from the kinds of harm rodents and their droppings can do to your flock and your family that you do need to take care of this issue as soon as you become aware of it, by both getting rid of the droppings and getting rid of the rodents. Here's what you need to do when you're taking the first step - getting rid of the droppings. If there are droppings in the straw or on the floor, clean out your coop thoroughly. Before you start, use a spray bottle to soak the droppings in either a strong disinfectant or a solution of bleach and water. Leave for at least five minutes before clearing away. Clear the straw with a shovel, burn it if possible and then disinfect the coop. 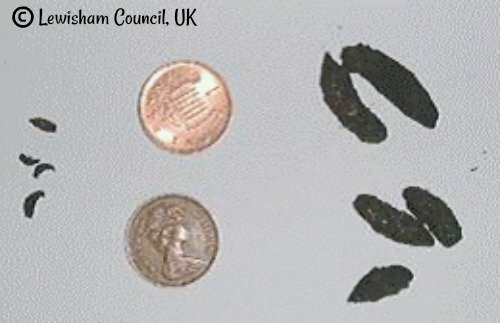 Remember, it won't be only droppings - there is very likely to be urine around too. Be careful though because as we saw here, the dust from the straw can carry harmful bacteria. 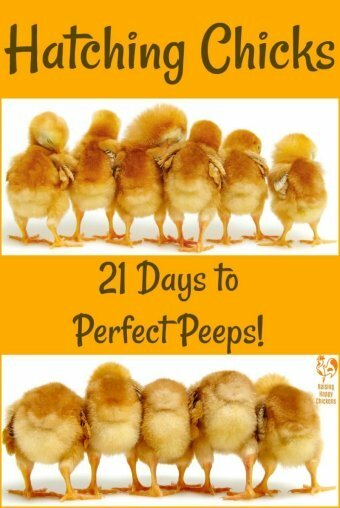 Remember to rinse your coop very thoroughly with plain water after disinfecting. You don't want your girls suffering burnt feet because of left-over bleach. If there are rat droppings in food containers - throw away the feed. The excrement can infect it. Put it into a plastic bag, seal it and put it into a second plastic bag which should also be sealed. Only then should you put it in the waste. Clean your feeders thoroughly before re-stocking. 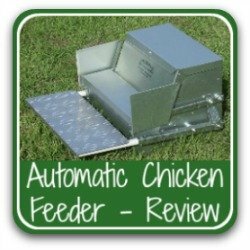 Consider buying vermin-proof containers and feeders. Any container or feeder which has even a tiny gap is enough for rodents to get through and enjoy a feast at your expense. And remember - they can jump, so hanging feeders in the coop is not a good idea. Any specific precautions to be taken? Definitely. Firstly, put your flock into a separate area while you clean. 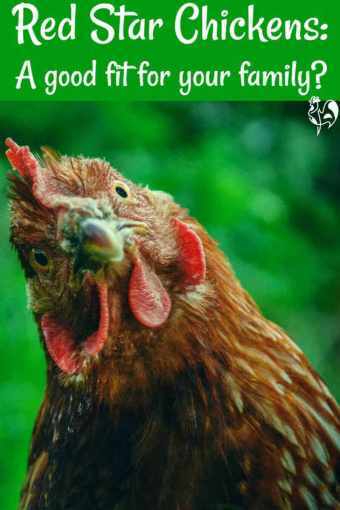 You do not want your chickens breathing in infected dust. For yourself, use a mask like this one, particularly when clearing out bedding. Don't worry if you don't have a commercially produced mask to hand. It's better to get rid of the excrement quickly rather than waiting until the shops open or you get a delivery. A scarf tied tightly round your nose and mouth will be effective in the short term. Use rubber or plastic gloves. We keep a stock of plastic surgical type gloves which can be thrown away after each use. If you want to re-use rubber gloves you'll need to disinfect them after every use. Use a shovel and keep it separate to any household or gardening tools. Disinfect it after use. Never, never pick up either mouse or rat droppings by hand. Make sure you wash your hands thoroughly after you've finished. Use a medicated hand sanitiser. Get my free downloadable rodent control checklist! 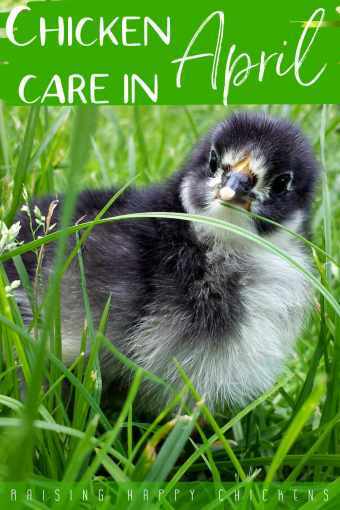 I've had so many enquiries about how to manage rats and mice in the chicken coop that I've designed a checklist for you to download for free. 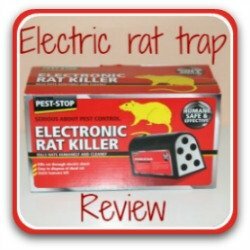 It covers five separate areas of rodent control, all of which are covered in detail on this website, in an easy-to-understand format. It covers all the major issues you need to remember. Fill it in online or download so you have it on paper - it's up to you! Click here or on the button to go to a page where you'll be able to request your free download. 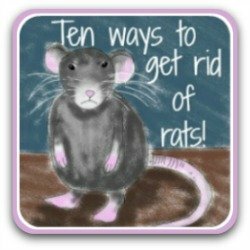 Need more information about how to get rid of rats? I have lots of information learned from bitter experience and from talking to and taking advice from experts. 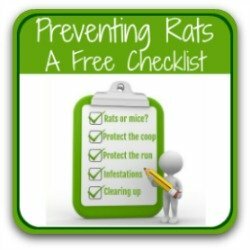 On this page, you'll find a free checklist you can download to help you plan and execute the process of identifying and exterminating rodents. 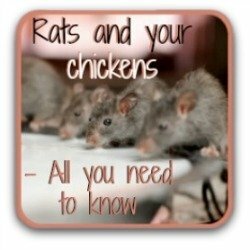 These articles (click on the pictures) will tell you everything you need to know about dealing with rats in your chicken coop - and how to avoid them in the first place.